Set your sights on a role making a real difference in the healthcare system. 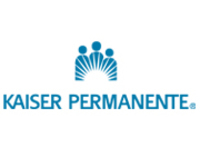 We're looking for a self-motivated Patient Financial Counselor to join our team. We have a relentless focus on driving results for our customers and enabling them to invest more into patient care; in turn, this allows us to continue to grow our company and your career. The Patient Financial Counselor (PFC) will be responsible for counseling patients or parties responsible for payment. The Patient Financial Counselor will educate patients on their responsibilities and potential options. The PFC is responsible for accurately and compassionately explaining to the patient their financial obligations during the financial counseling session. In addition, the counselor must obtain any necessary pre-certifications or authorizations and assist with any financing or third party applications. In order to be successful in the role, the Patient Financial Counselor must display a strong sense of patient care and attention to detail. Explain financial responsibilities for services received, payment options and collection procedures to patients or parties responsible for payment. Counsel patients regarding insurance benefits and recommend alternative sources of payment and financial assistance when appropriate. Contact insurance carriers or other sources and act as an advocate for the patient. Initiate process for collecting prepays due and perform follow up activity to insure maximum collection is achieved. Identify hospital, public and private financial assistance programs for patients unable to meet their financial obligations. Work with Case Management, Clinical Staff, Medicaid Vendor, and Family Independence Agency to assist patients and families in completing assistance program applications and determine eligibility and coverage. Notify manager, physician and servicing department of possible delay of service for any elective, urgent admissions, procedures and scheduled diagnostic testing which have not been approved prior to the date of service. Maintain accurate documentation of pre-processing information. Provide assistance to uninsured patients and families in completing and filing Medicaid or assistance program applications with the appropriate agency.